Something a lot of people have dreamed of at some point in their life is owning their own bar. Rather than trekking across town to pay for overpriced drinks, you could host your family and friends and avoid crowds. While owning a bar is not a possibility for everyone, building a bar is a project that almost anyone can tackle. And the perfect place for this project is the most underutilized room of the house — the garage. While your garage might not initially seem like the comfiest place to have a drink with your friends, after a little clean up and paint job it will soon become your new favorite hangout. No one wants to drink in a room filled with dust and cobwebs. Take time to clear out any unnecessary junk from your garage. After that, be sure to do a thorough sweeping and mopping of your floor. Make sure you wipe down the walls of your garage as well. Your garage should be clean and inviting for your future guests. Assuming the walls of you garage are not already painted, give the walls surrounding your bar a fresh paint job. Be creative with your color scheme and if you are really feeling artsy, add some pictures. Additionally, your bar will need some type of flooring. A layer of cheap vinyl is easy to find at your local hardware floor and is perfect for covering up the cold concrete. Next comes the most important part-the actual bar. If you want to specialize the size and shape of your bar, you will have to build it from scratch. Make sure to start with a sturdy frame and use boards for the outer parts. You will also want to be sure to leave space for liquor storage and a mini-fridge. Be sure to sand and stain the outside so guests can rest their arms on the bar comfortably without worrying about splinters. Alternatively, you could buy a pre-built bar which would require much less handiwork. Stock the bar with your liquor of choice and purchase a mini-fridge or kegerator to keep your beers cold. Lastly, don’t forget to buy barstools for your patrons to sit on. 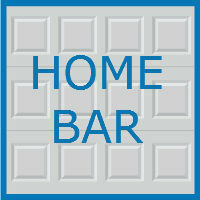 Once your bar is in place, you will need to add some finishing touches that make the bar your own. If you are going for a sports bar theme, purchase some memorabilia or famous sports pictures to hang behind the bar. You may want to move an old TV out to the garage as well so you can watch live sports. If your garage is not well-lit, buy a new light fixture to hang above your bar. If you have the time to start up a DIY project this summer, and have the space in your garage, a home bar is the perfect summer project. You will certainly be thanking yourself come wintertime when you do not have to brave the elements to watch a football game. To inquire about custom garages in the Chicagoland area, contact Blue Sky Builders online or call us (630) 852-8485. 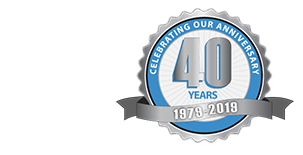 We have successfully served customers throughout the area for nearly 40 years.